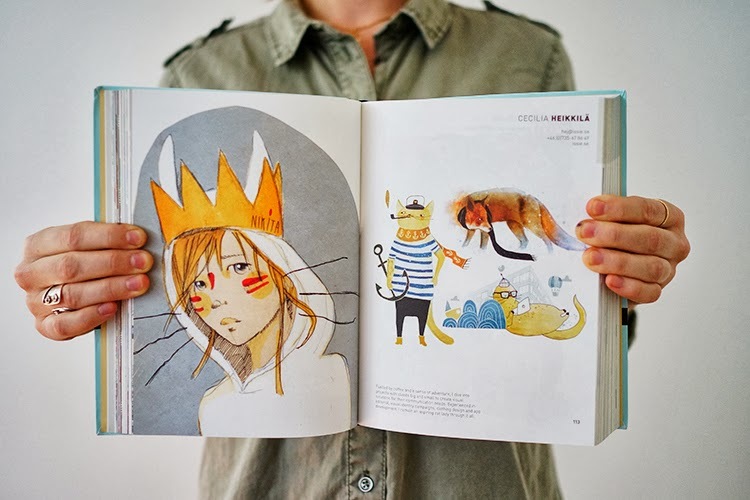 blog of issie - drawing, cats and stuff: A book. Look! The new annual book from Illustratörcentrum has arrived! Yay, on page 112-113 you can find foxes, otters and cats. Thanks to Rachel Hahn who helped me out with the copy for my spread. 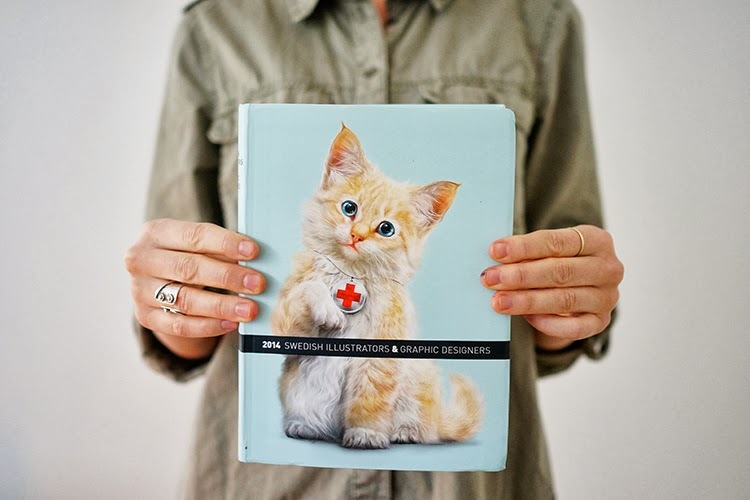 And to Jonas Erickson for the photographs of my paint stained fingers holding this book!